If you’re able to pull yourself away from Battleheart Legacy, which jumped the gun and released last night, then there’s a whole bunch of other new iOS games to occupy your time with. 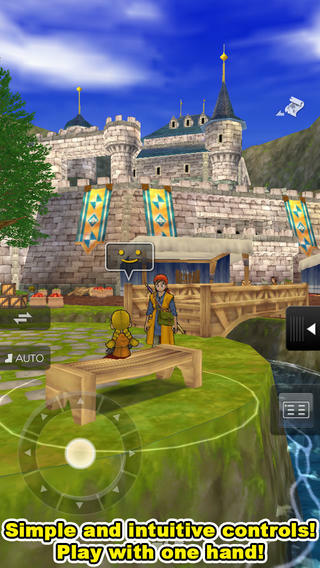 If you’re a fan of the PlayStation 2 game Dragon Quest VIII, you can now take it with you on the go on your iOS device. It seems to be a pretty faithful port, with the added bonus of one-handed, portrait-oriented gameplay. Also, there’s a number of cool puzzle games on the list tonight, as well as Adult Swim’s latest Delivery Outlaw which has just launched worldwide following a soft launch. Eli and I actually streamed many of these new games earlier today, so check out the archive video if you missed it. 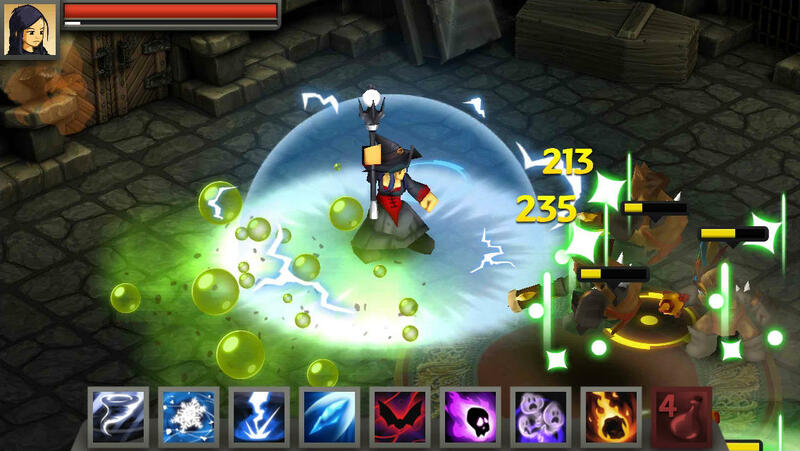 But seriously, just make sure you grab Battleheart Legacy, it’s stupidly good. Bardadum: The Kingdom Roads, a puzzle video game set in a humoristic medieval world. 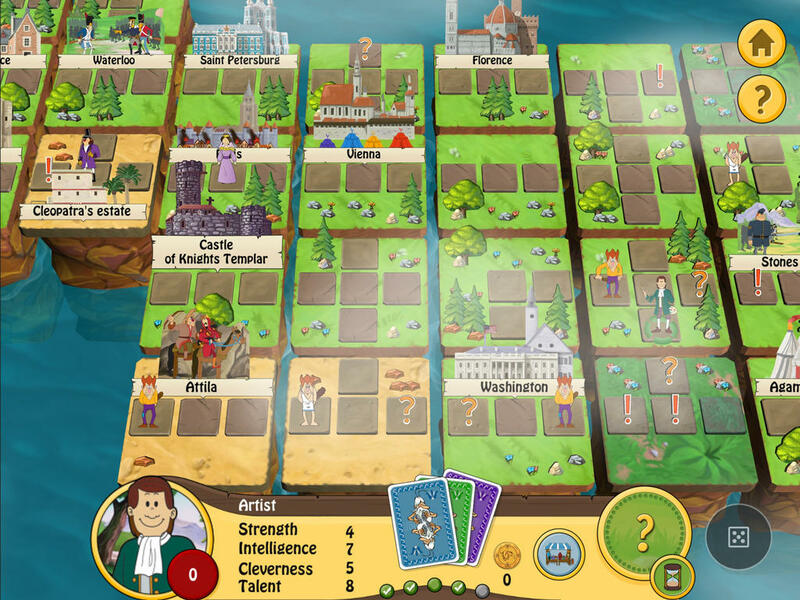 The game is simple, accessible, and based upon the player’s common sense and observation. Follow the story of two friends: a bard and a knight traveling through the Bardadum kingdom. May their quest become yours! Heed the warning from the red planet, Earthlings! The Martians are about to strike our beloved planet to take our single most valuable resource: cows! Protect Barney’s “ladies" in this colorful and whimsical tower defense game! Congratulations ! You have been granted a licence to serve kebabs to the Brazil 2014 football crowds. Serve them up what they want before they lose it and you lose you prime pitch-side street food stall. 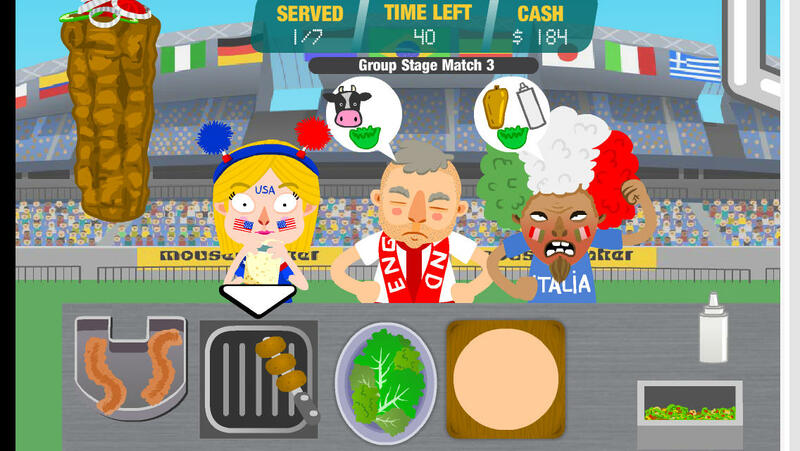 Enjoy multiple meats, lots of crazy characters & sizzling arcade action in this football cooking game ! It’s feeding time in the village! That means yummy sacrificial animals just for your big monster mouth. But be careful not to eat any people…or else! In Don’t Eat People, you control several hungry monsters whose appetite can only be satisfied by a record-breaking number of tasty bulls… but for some reason villagers are hurling themselves off the cliff along with the animals. You have one simple goal… DON’T EAT PEOPLE! Earn points for every bull you eat, and bonuses for special bulls that appear at random. The controls are easy – just tap and hold to close the monster’s mouth and watch the villagers bounce off your head with hilarious results. If you eat a single person, it’s game over! 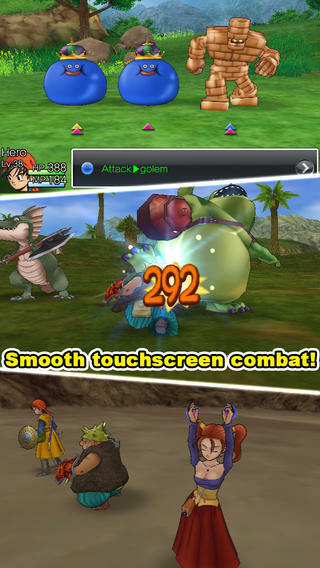 The phenomenally popular DRAGON QUEST VIII has sold 4.9 million units worldwide, and now it’s coming to the iPhone and iPad for the first time! This was the first title in the series to be presented in full 3D, and its exquisitely detailed world has to be seen to be believed! Set off on an unforgettable adventure with Yangus, the bandit with a heart of gold, Jessica, the high-born magical minx, and Angelo, knight and lothario, by your side! Everything you need is here in a single package! Once the app is downloaded, there’s no more to pay, as every last shred of content is yours to enjoy. So get ready to play the epic that is DRAGON QUEST VIII from beginning to end—and far beyond! Each level becomes a journey with a destination as you strategically reassemble each color palette. Make a wrong move and you may take one step back. Venture too far the wrong way and you must start over. See how you rank in Game Center and challenge your friends! How far can you get? Form bonds to create forces between particles, and collide them together inside a simulated vacuum to and create beautiful cloud particle collisions and advance through the stages. Marcus thought that while his parents were away, he could play his favorite videogame “Gorbar and The Valley of the Seven Light Towers". Unfortunately, he got transported inside the videogame itself ! To avoid the Game Over and get a chance to come back to his world, Marcus will have to finish the game and free the Princess Aria from the villain Vipkrad. 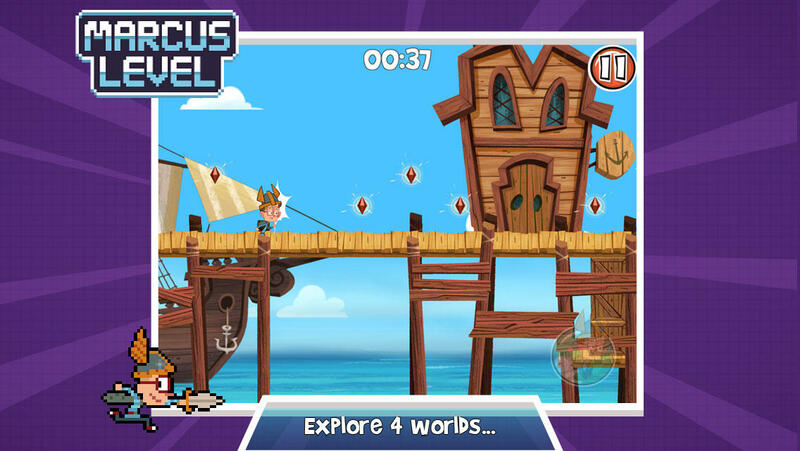 Discover the universe of the Marcus Level cartoon through this challenging runner. Brace yourself for the ultimate tap experience! 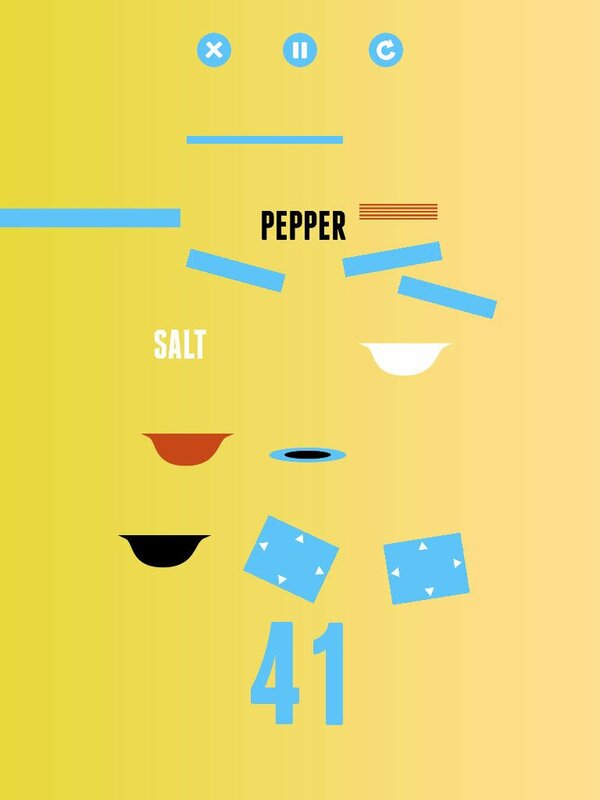 Minimo combines “flap" and shooter mechanics. This minimalistic game is challenging, yet rewarding. 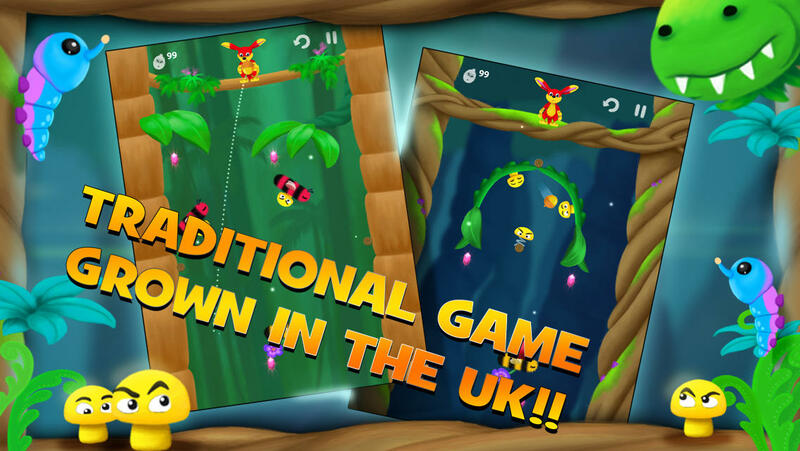 The levels and the music are generated as you play, every try has something new to offer. Once Upon a Time… Man is a stimulating interactive brain board game, where kids and adults can check their knowledge of history and continue learning. At the very beginning, each player choosestheir owncharacter to play with along with the DICE+ (which creates further excitement, but is not mandatory) to begin the journey through the dynamically generated map, which is different in every game. The main goal of the game is to fulfil the quests related to famous historical characters and events, which are drawn at the beginning of the game.Finishing quests give you ducats, when you are the first to tackle all of them you are the victorious winner of the game! Don’t expect and easyroad to victory as its full of obstacles and unexpected events. Adding another layer of strategy with the use of power ups and boosters, other players can tacticallyderange you from your trail or strengthen their heroes and his statistics! Perfect Paths is amazing puzzle solving game where you create paths and add other instructions to move blocks to their designated positions. Blocks can be combined or separated. These simple rules create interesting environment, where each puzzle can be solved in many different ways. Help our scruffy hero, Pogo, bounce around the boroughs of Brooklyn on his trusty plunger. 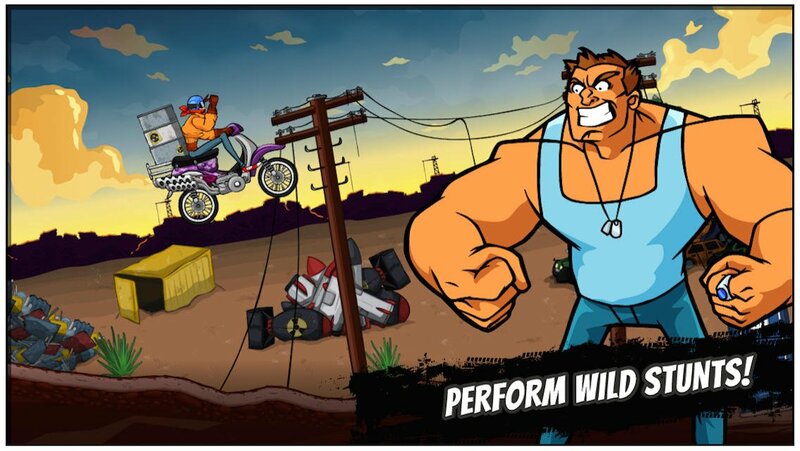 Avoid obstacles and leap tall buildings in a single pogo, while plunging your way through a mix of pesky enemies. You’ll battle everything from ferocious turtles and blood sucking bats, to massive man-eating plants! Chain pogos between multiple enemies to jump super high, collect coins, get power-ups and earn special accessories and new pumped-up plungers for SUPER pogo-ing! Now for something completely different from the developers of the Ravenmark saga. We’ve got Romans In My Carpet! – an absurd MULTIPLAYER turn-based strategy game in vivid 16-bit pixel glory! Stare at a screenful of mite-sized Roman soldiers charge into battle on spider-powered chariots. This is lush 2D life, perfected to a retro-loving science. Engage in turn-based wargaming by way of Monty Python, and feel good about cutting up your foes while catching all of our smart, smart japes. Think you’re a strategic genius? Challenge your friends in asynchronous multiplayer! Tell them it was just a flesh wound through in-battle chat. Bring your own taunts. While waiting in between multiplayer matches, continue honing your wits in the single-player campaign, where you do battle against the nefarious AI that lives on our server. Play as both Imperial scum or the rather nekkid tribes of Britannia! Romans In My Carpet! We’re making bedbugs as adorable as a button. It’s as awesome as it is simple. Imagine a Rubik’s cube with pixels, hence RubPix 😀 ! 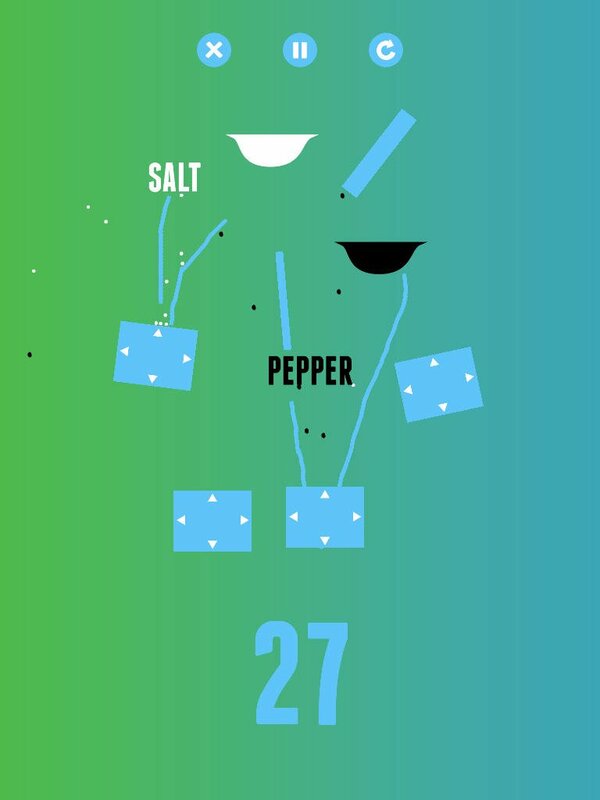 Salt & Pepper is an exclusive iOS physics game. Simply draw to guide enough salt and pepper to the white and black bowls. When enough salt and pepper have reached the bowls, a star will appear. The level is complete when all bowls have a star. The salt and pepper must reach their bowls. To complete a level: etch a unique pathway to guide the white salt and black pepper to their bowls until a star appears. In this physics game, there are no specific paths or patterns to complete a level as each level will have countless ways to win. Successor to the critically acclaimed Super Soccer Champs 2013, now with more leagues, a deeper Career mode, and a host of graphics, sound and gameplay improvements. World Of Soccer Champs mode sees you work your way up from managing the minnows, with 4 divisions of English Football, French, German, Italian, Spanish, Scottish and Japanese Leagues. Transfers, job offers, promotion and relegation! Build your squad to deal with injuries and suspensions, it’s all here. TS2 offers all the original features of Trainz Simulator while pushing the boundaries of mobile once more with many new features for you to experience. Based on the successful PC & Mac franchise, Trainz Simulator 2 allows you to Build and operate the railroad of your dreams. Truffle needs your help, and has acorns ready to throw at the pesky Mushrooms to destroy them! You have to do it in one shot, I bet you can’t, though Truffle will be happy if you do! 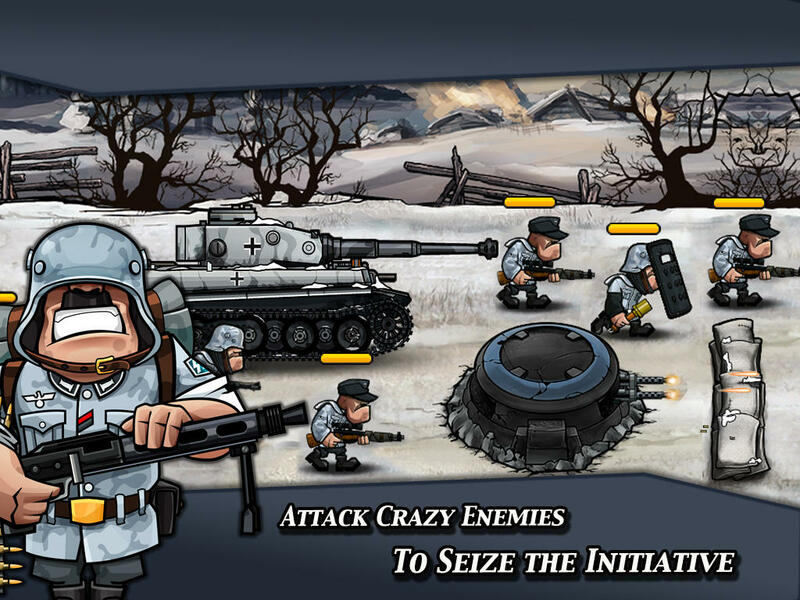 Warfare Nations is an epic and addictive combat strategy game filled with exciting adventures and explosive fun. Train your troops, build your Outpost, and battle with thousands of other players online! The Great war rages around! LEAD your TROOPS, PILOT your ARMORS and BLOW your ENEMIES sky high! It’s Europe and the world powers have descended into world war. Your troops need a leader at their most desperate hour. Could you be that leader? As the world holds its breath, the decisions are yours! Put on your boots and take to the mud and trenches of Europe. Build a base and bring your rivals to their knees! Pogo Plumber â€” Take the plunge!